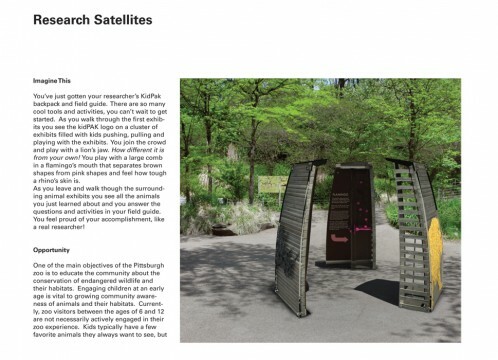 For this semester long project we worked with the Pittsburgh Zoo to redesign children’s exhibits to provide a more engaging and educational experience for young zoo visitors. 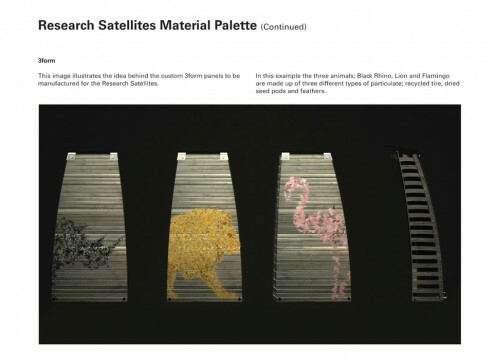 Within a larger team I worked to develop satellite exhibits to get children interested in evolutionary traits of specific animals at the zoo. Kids learn best by doing so each exhibit incorporates an interactive activity to teach kids how animals have evolved to meet the demands of their environments. 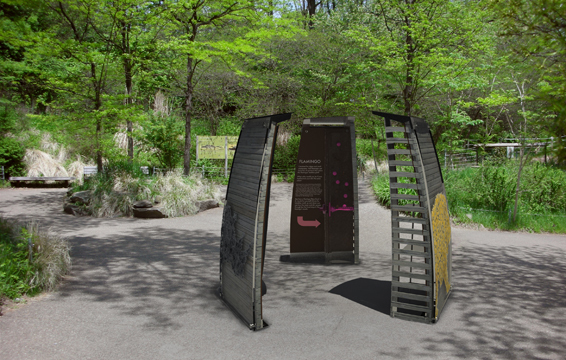 Durability against weather and high traffic, location throughout the zoo, interest and engagement for visitors of all ages and a strict budget were primary concerns throughout the design process. Observation, interviews and interim product testing helped us develop products and exhibits to provide a more engaging experience for children at the zoo.